Esbit Pocket Stove Small Including 20 x 4g Fuel Tablets. 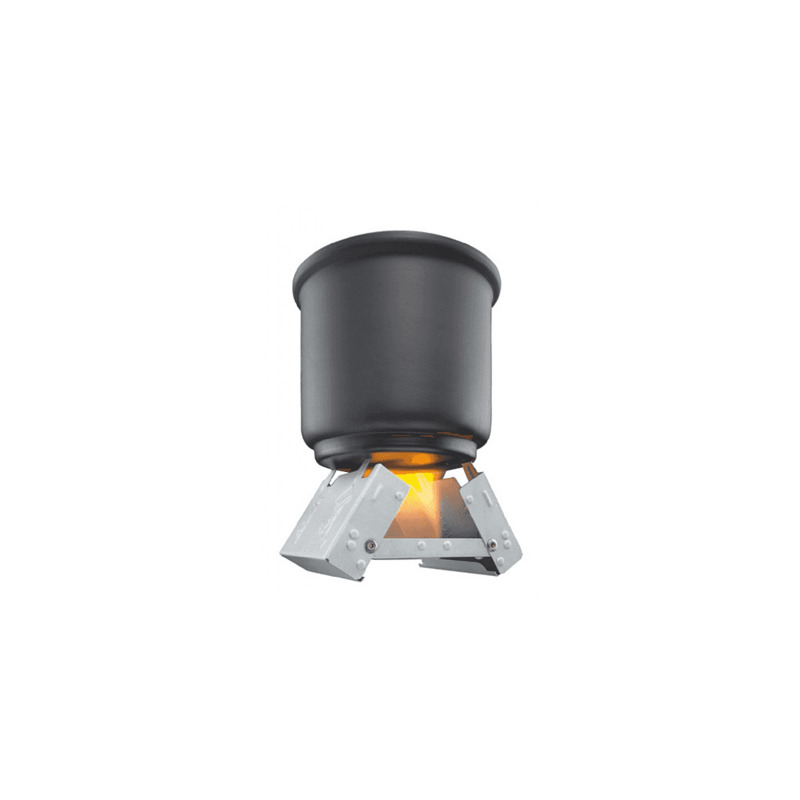 It reminds me of the dependable military issue stoves, extremely robust and reliable, suitable for cups, pots and pans with 2 cooking positions and supplied with 20 solid fuel tablets - each 4g. Solid fuel tablets can be stored in the stove which light and easy to store; handy pocket size and assembled in seconds. Perfect for boiling water for meals and coffee!